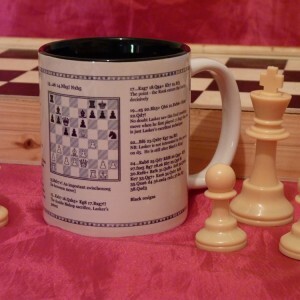 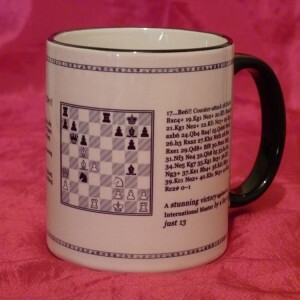 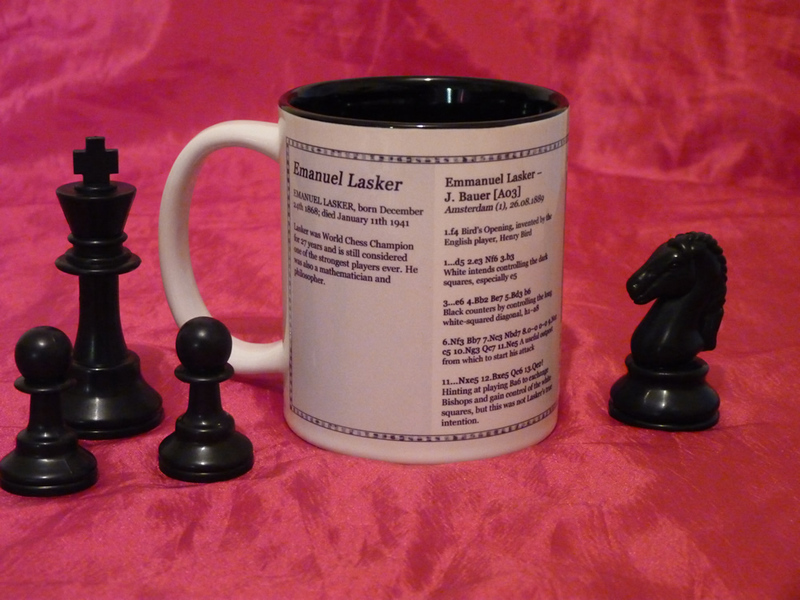 Custom Chess Mugs in stylish black and white. 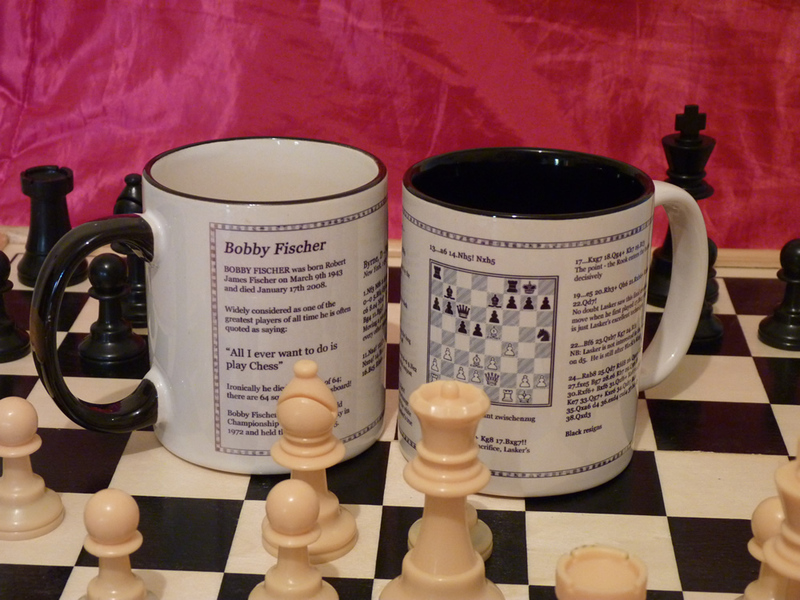 Available in a choice of 7 world renowned players and 2 colour choices. 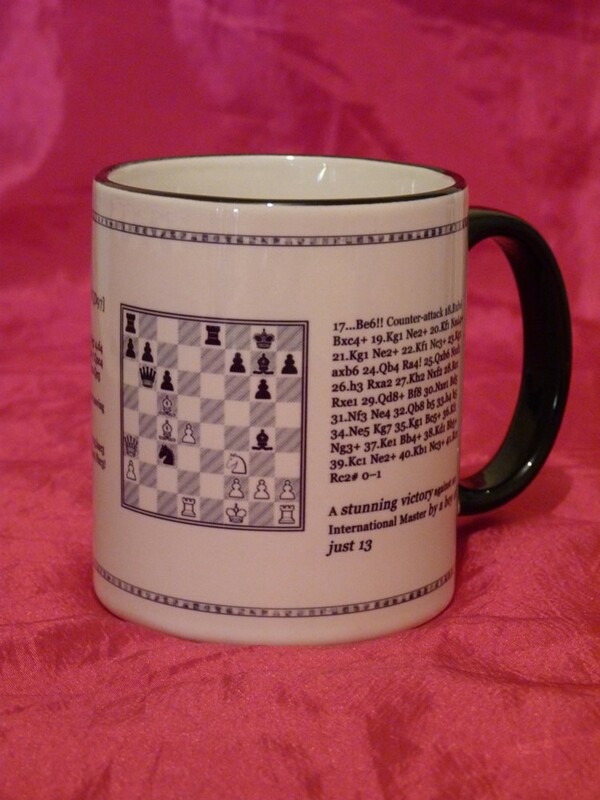 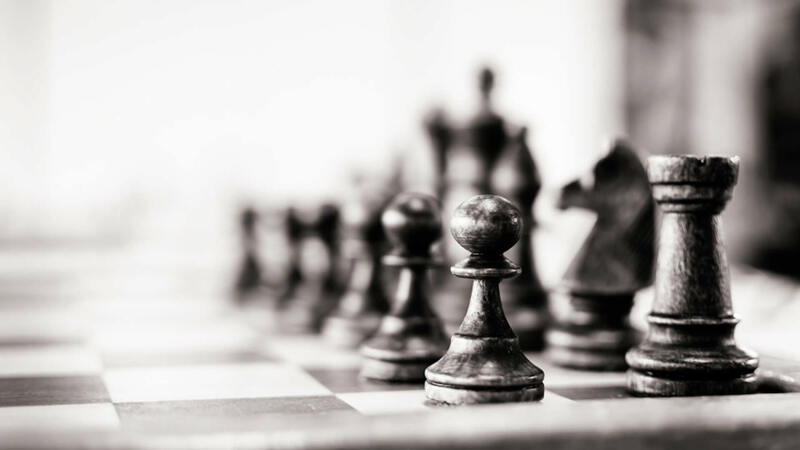 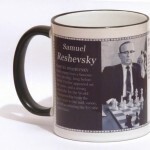 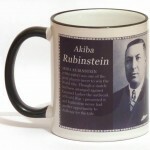 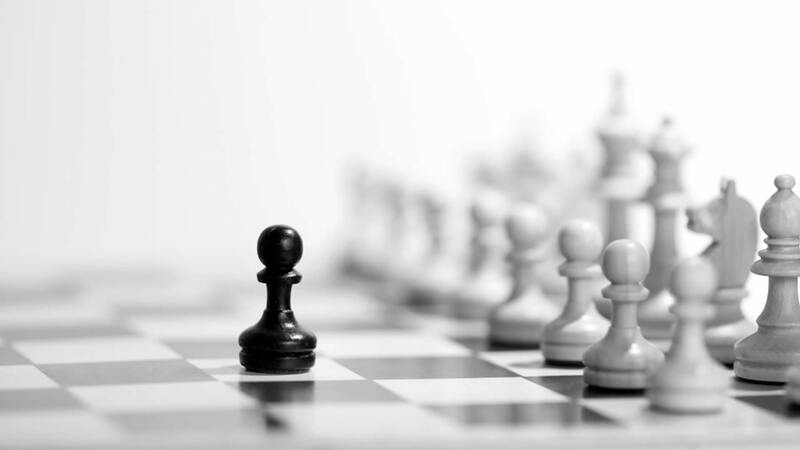 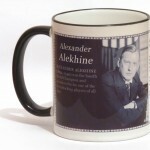 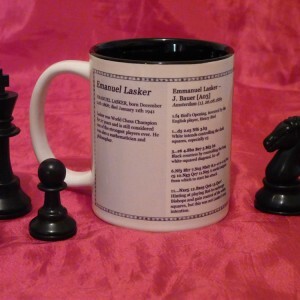 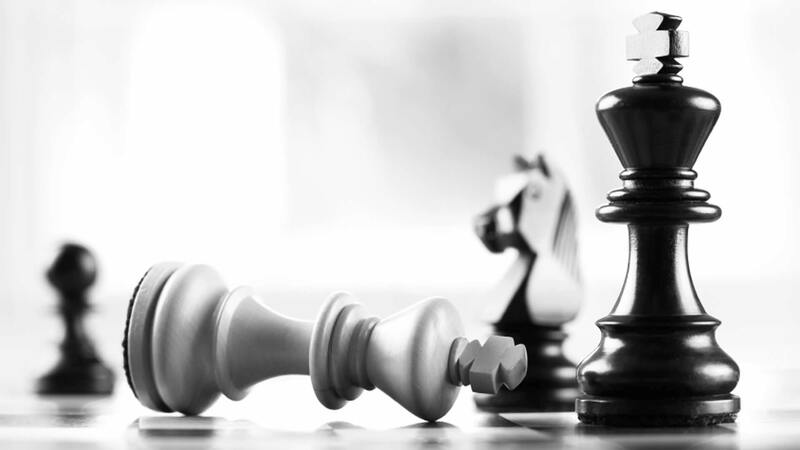 Perfect for yourself, or as a gift for any avid chess player. 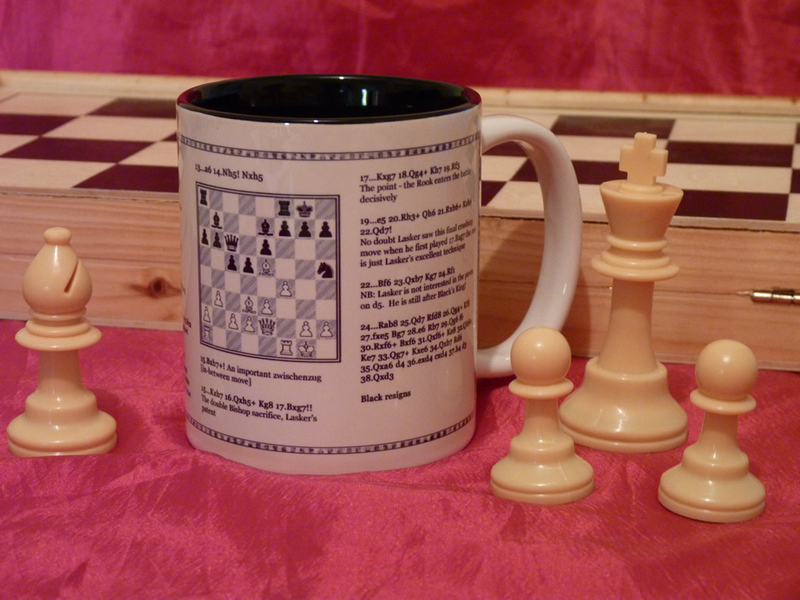 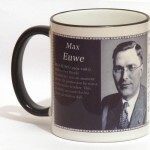 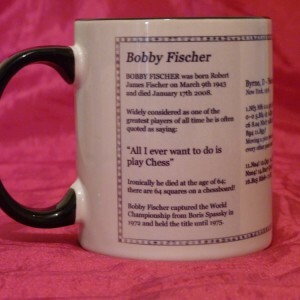 Each mug features a brief history of the player, and an example game of theirs (usually one of their more famous ones), spanning across the entire face of the mug. 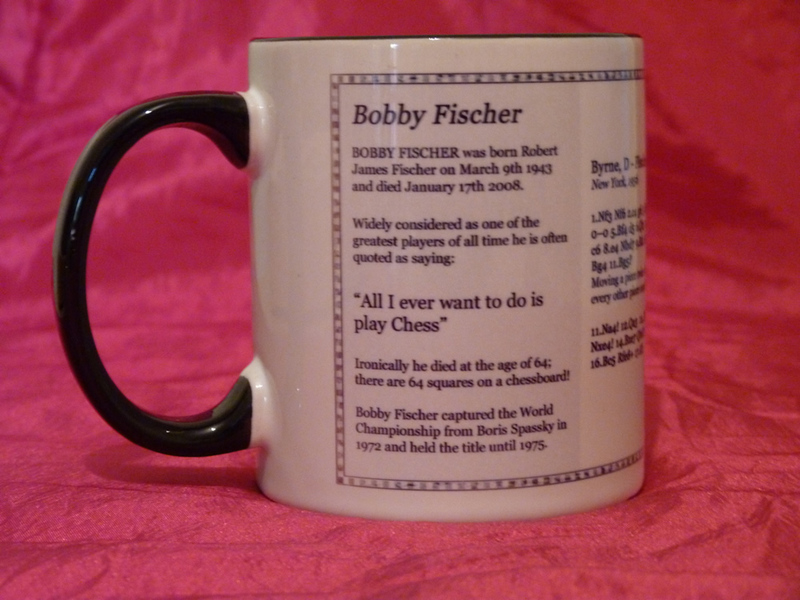 100% Dishwasher safe. 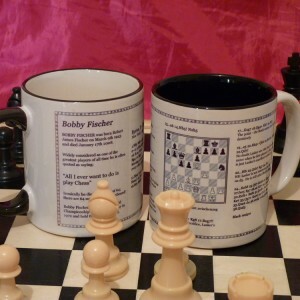 Each mug will be despatched in a protective polystyrene and cardboard box to ensure that it arrives safely to your door.